Maelstrom Records and Slinky have joined forces to release a series of Global Trance digital compilations through iTunes. The first album was recorded during a recent trip to New Zealand and features new trance from the likes of Richard Durrand, Jon O'Bir, Sander van Doorn, and Paul Oakenfold. 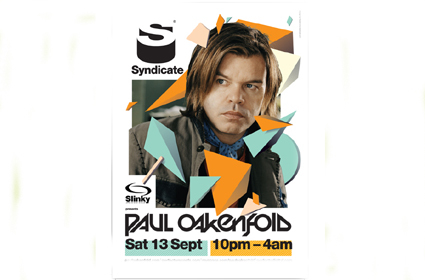 Oakenfold will appear for Slinky at The Syndicate in Bristol on Saturday 13 September at an event to launch the brand's return to the compilation market place. "Releasing an album to a global market place is a huge undertaking." "To put it in a digital format, and through such a portal as iTunes, not only gives us the freedom to embrace new music and talent, but will also develop the brand's exposure to an exciting and cutting-edge audience." "We, here at Slinky, pride ourselves on being very forward-thinking and as a result are extremely happy with this partnership and our first compilation in nearly four years. Enjoy!"